33 Cool Wall Hooks and Creative Wall Hook Designs. 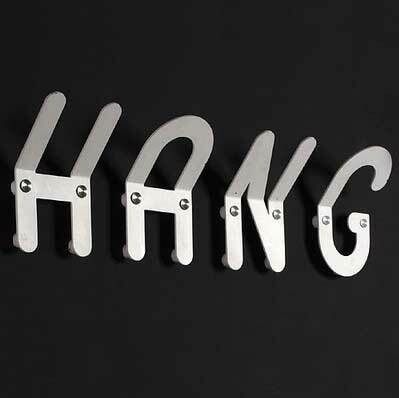 Are you tired of using the same old conventional style of hooks over and over again? 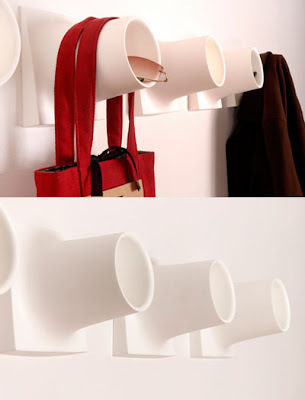 Well here are some interesting options to transform your room and replace your boring and regular hooks. 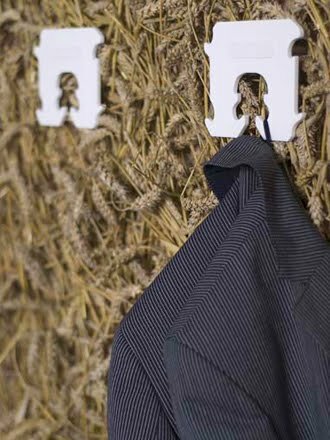 Tree Hooked Coat Hooks: Neat and simple coat hook that doesn't require much space, made out of special soft-coated steel. 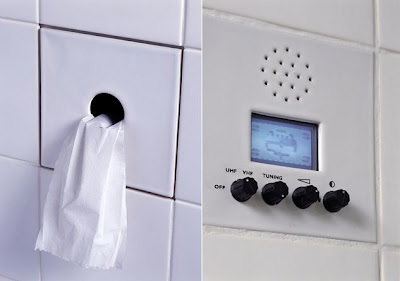 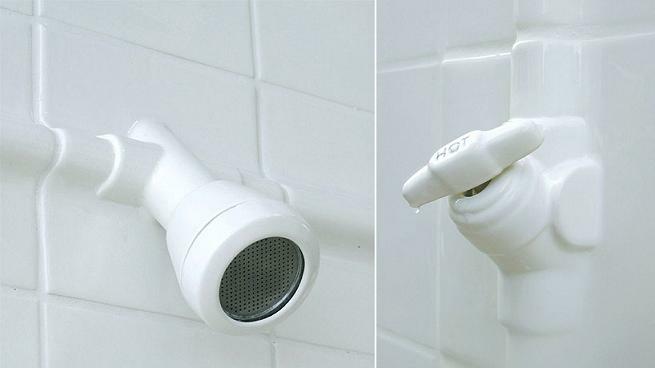 Hook Box: Made of ceramic, can be used in bathroom to hook a towel and store soap, and shampoo. 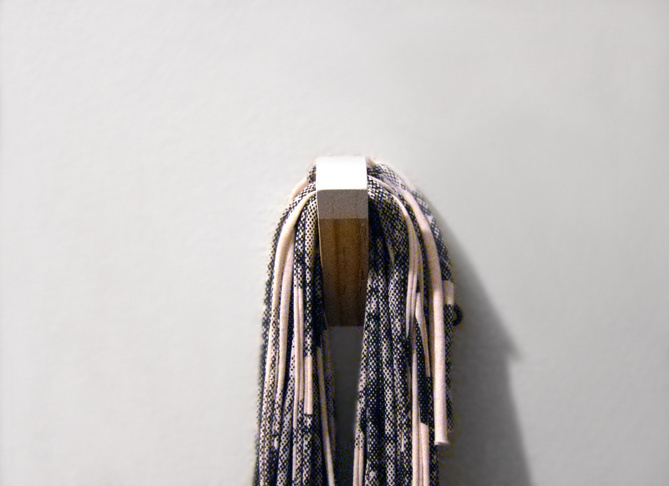 Arrow Coat Hook: A clear and simple design by Nick Leigh. 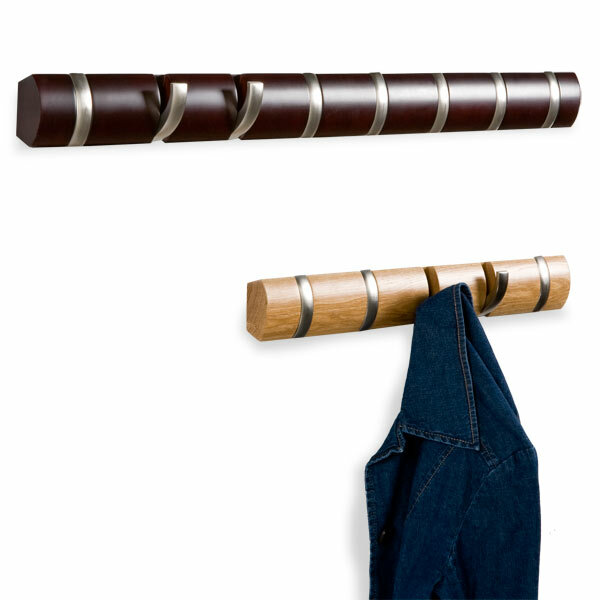 Cubby Coat Hook: The outer surface offers a wider, more collar-friendly support for coats. 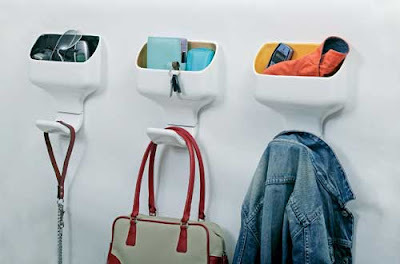 While the center space can be used for storing keys, wallets, gloves, sunglasses, or other small items. 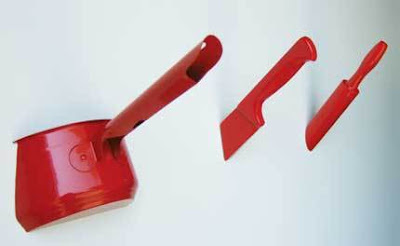 TC Studio's Hook: Designed by TC Studio, its quite easy to install and looks interesting too. Hangwall Hooks: A product that spells its name; the set includes four oversized stainless steel individual letters - H, A, N, and G.
Mushroom Wall Hook: Made from reclaimed rosewood, inspired by mushrooms growing from a forest floor. 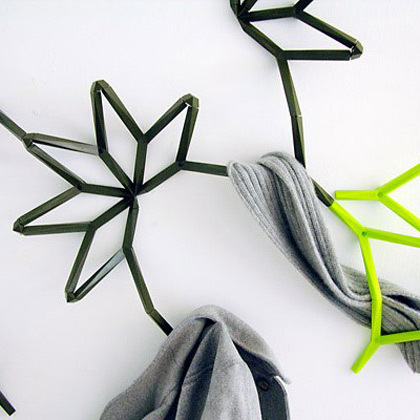 Hook Anemone: Inspired by the underwater life, designer Anders Ljung created this organic shaped multi hanger for clothes and jewelry. 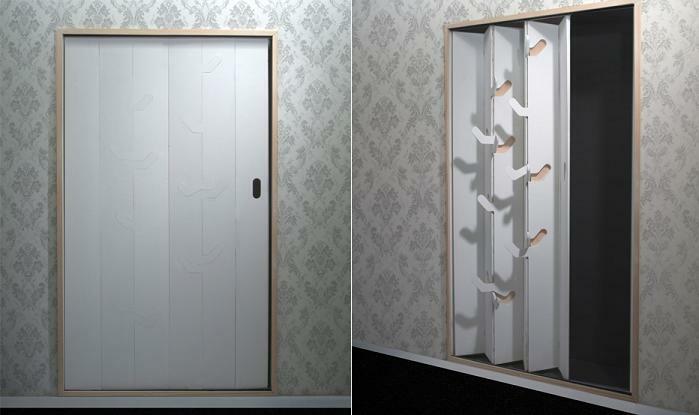 Easy Closet: An interesting concept, a closet door with hooks that fold out when open. There are enough hooks on the door to put everything from bags to coats. 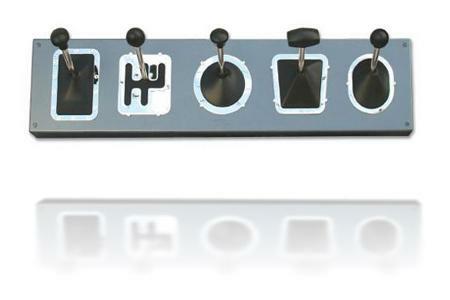 Gear Stick Hooks: Made of steel, it measures 83cm x 20cm, features five different gear sticks that serve as hooks. Flip Hook: Flip down as many hooks as you need, and the hooks fold flat against the rack when not in use. 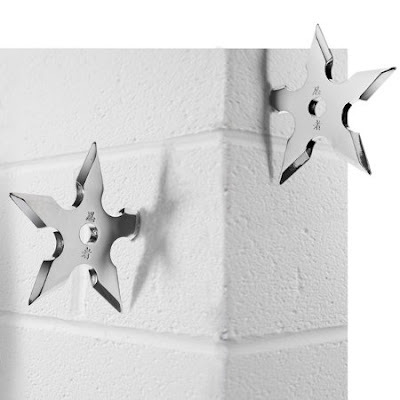 Ninja Star Coat Hook: Each of these metal Ninja Coat Hooks has one corner cleverly engineered such a way that it allows you to fix it securely to your wall or door. Wooden Clothes Hooks: This one comes from Twentytwentyone. 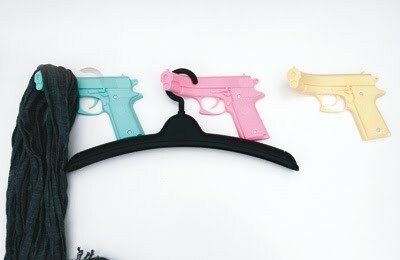 XOX Hooks: These are powder coated metal clothes hooks. 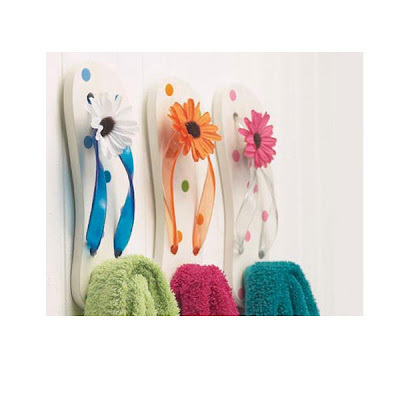 Orchid Hooks: In this set of clothes-hooks, the petals bent so that articles can be put on them. 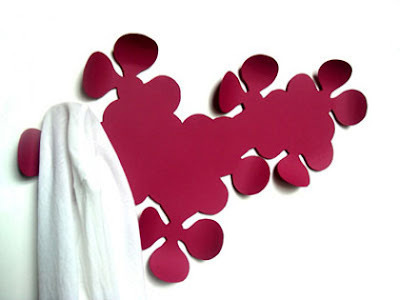 IVY: It lets you design a sculptural shape that suits your needs. Every kit comes with 16 Y shapes, connectors and anchors. 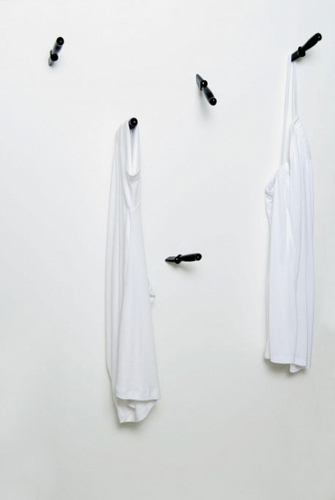 Stuck On You Wall Hooks: Crafted from real kitchen equipment, the London-based design team, Thelermont Hupton, shows their sense of humor with these hooks. 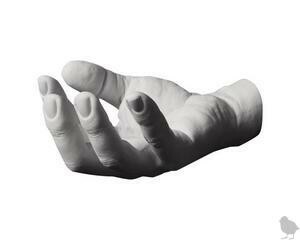 Hand Hook: This wall hook is based on highly detailed casts of designer H Allen's hand. 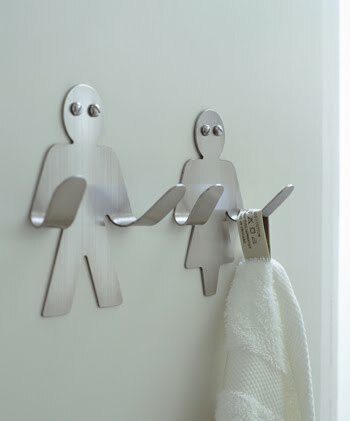 Hooks hold things, as do hands. 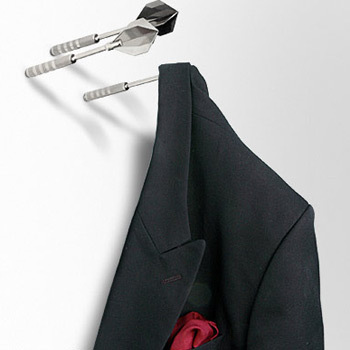 Coat Hook: This comes from BureaudeBank, is shaped like a Dutch bread clip. 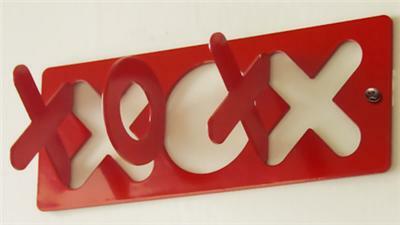 Hook from Van Esch: This one comes from Netherlands. Dart Coat Hooks: Looks cool on any wall! 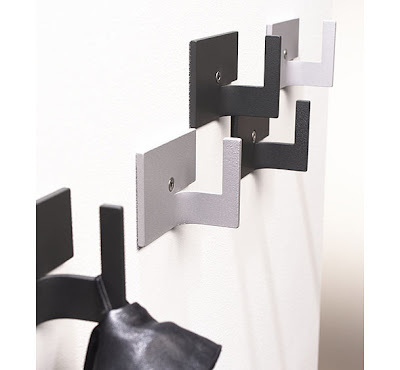 Wall Hooks by Black+Blum: An interesting idea; can be used for jackets, robes, or coats. Twig Hooks: Creation of Live Wire Farm, these are totally natural wall hooks. 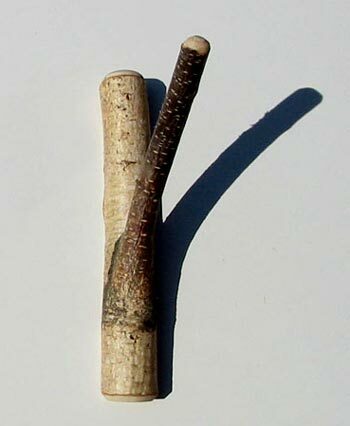 Species like maple, beech, and birch are available. 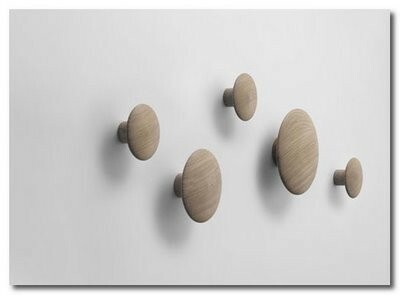 Stone Wall Hooks: These stones are functional as well as beautiful! 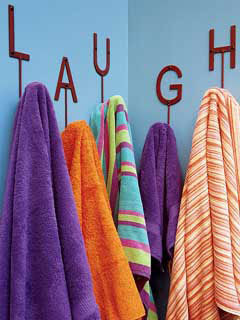 Iron Letter Hooks: Hooks that spelled out "LAUGH". 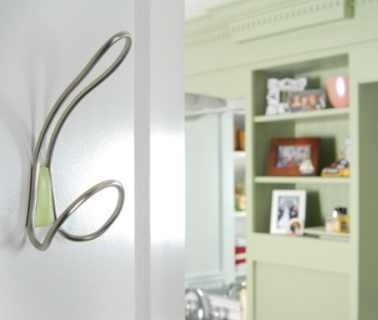 Bach Stainless Steel Coat Hooks: It looks simple and neat, perfect fit for anywhere. 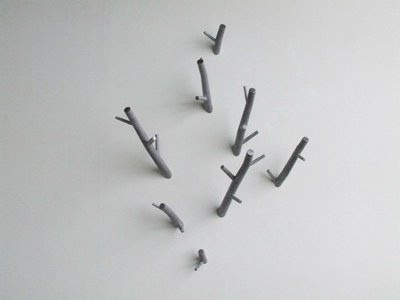 Coat Hooks by Max Lipsey: "Coathooks" as it is called is a series of 10 aluminum multi-sized branches, which may be placed as per your requirement. Flip Flop Wall Hooks: Each hook is shaped like a flip-flop, you can put your towels or even your jackets on them. 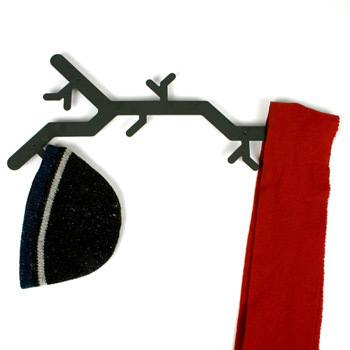 Cactus Design's Hooks: These come in three strange colors and are priced at $17 each. 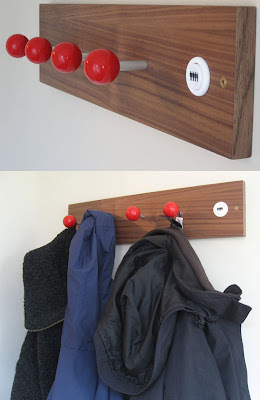 Joystick Wall Hooks: It uses real joystick balls and buttons. Man Wall Hook: Made from high quality cast resin, the outstretched hands can coolly take coats, hats and towels. Baby Limbs Wall Hook: Who would want this one? 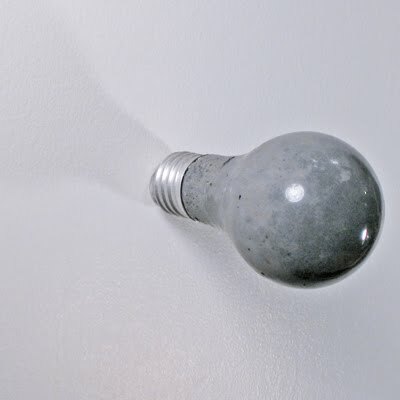 Concrete Bulb Hook: This one comes from Moderndose. Don't miss to check out "Cool Wall Hooks and Creative Coat Racks - Part: 1| 2| 3." Things You Can Do With Coins. 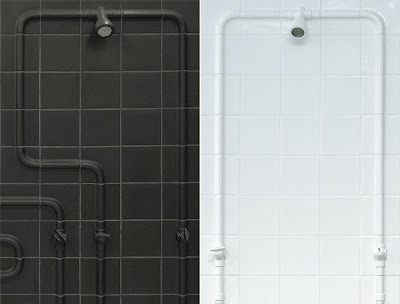 If you have been thinking of re-doing your bathroom or kitchen, then we have some pretty interesting options here for you to choose from. 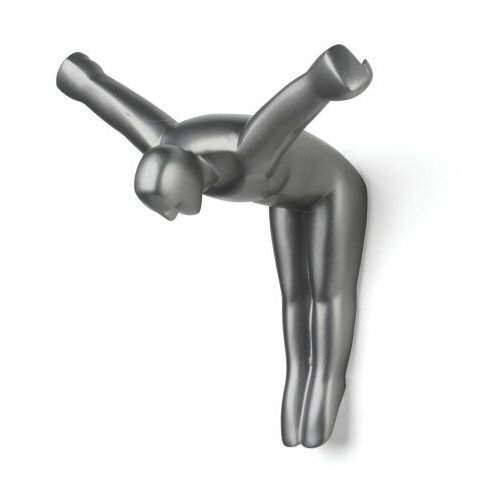 And if you aren't then still you can bookmark us as it may come in handy when the time comes. 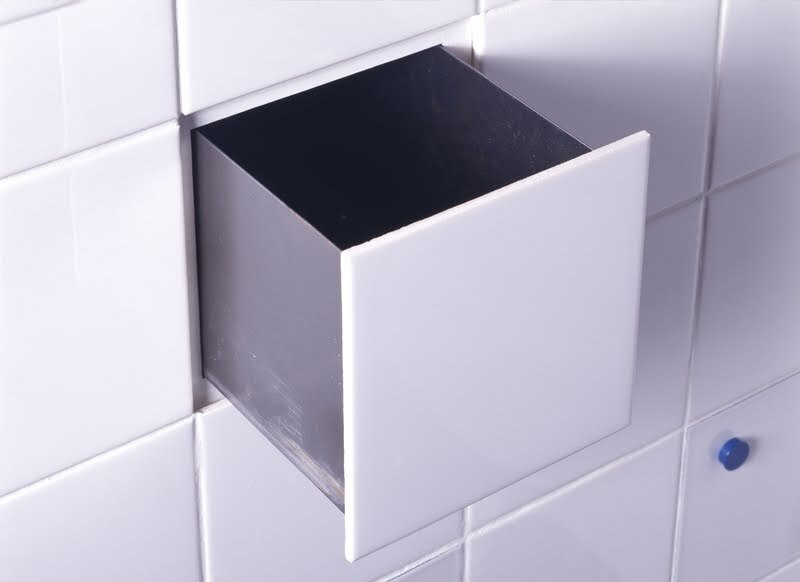 Function Tiles: An interesting option for getting more out of your shower or bathroom with limited space. Created by Droog Designers P van der Jagt, Erik-Jan Kwakkel, and Arnout Visser. 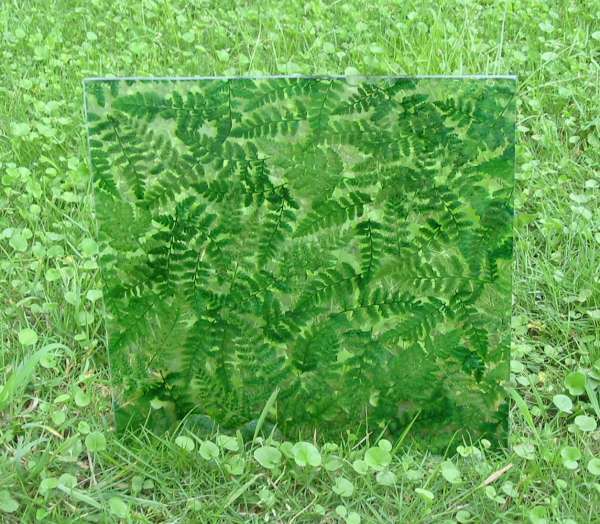 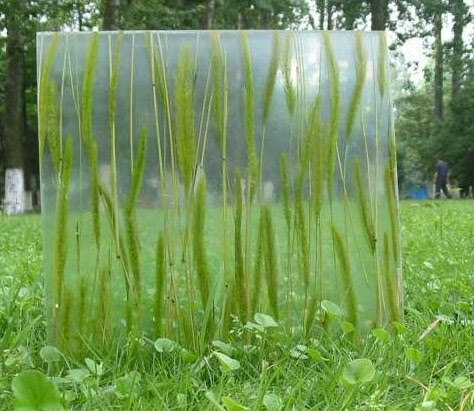 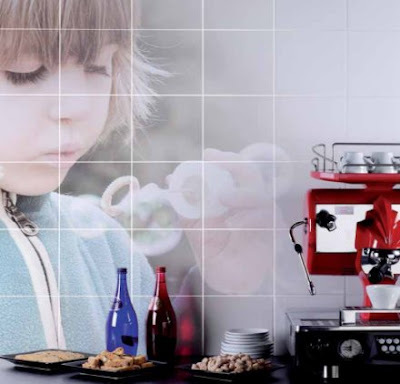 Temperature-Sensitive Glass Tiles: These are temperature sensitive textured glass tiles that alter color with change in temperature. 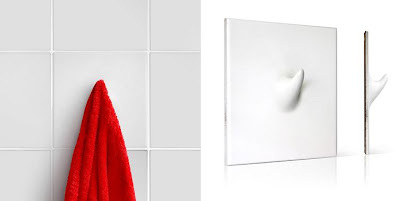 They change color with the ambient, body or water temperature - whatever they're touching. 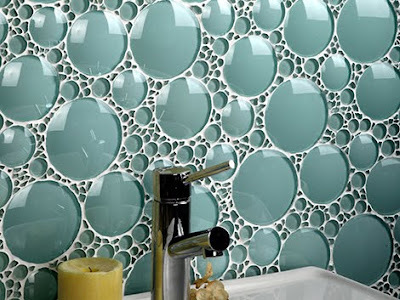 Mosaic Tiles: These are the creation of Spanish company Glassdecor, which is specialized in glass decors. 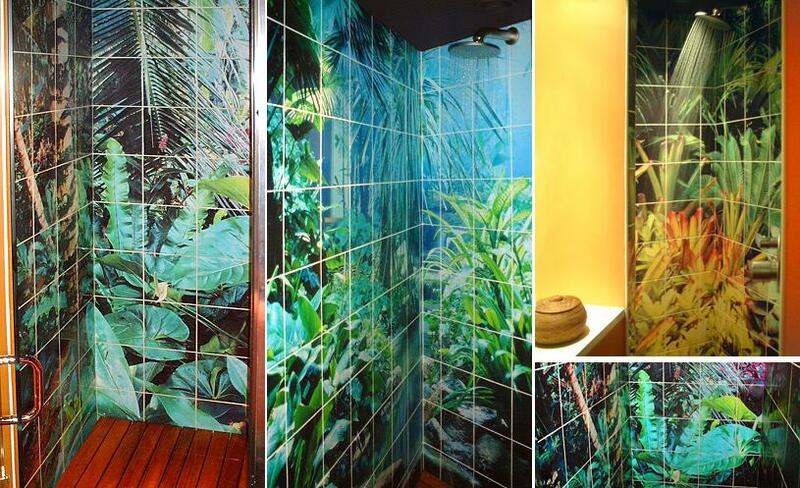 These amazing glass tiles that come in plenty of playful pictures, nature motifs and even 3D are sure to improve the looks of your bathroom. 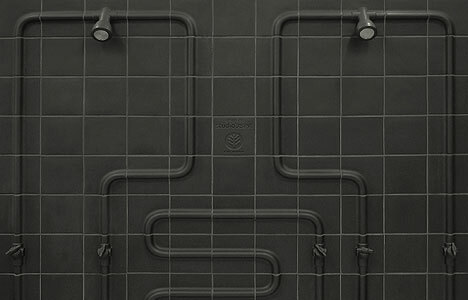 Cover Tiles: Creation of Studio JSPR, these tiles cover pipes, connections and water taps and these elements are all visible on the outside. 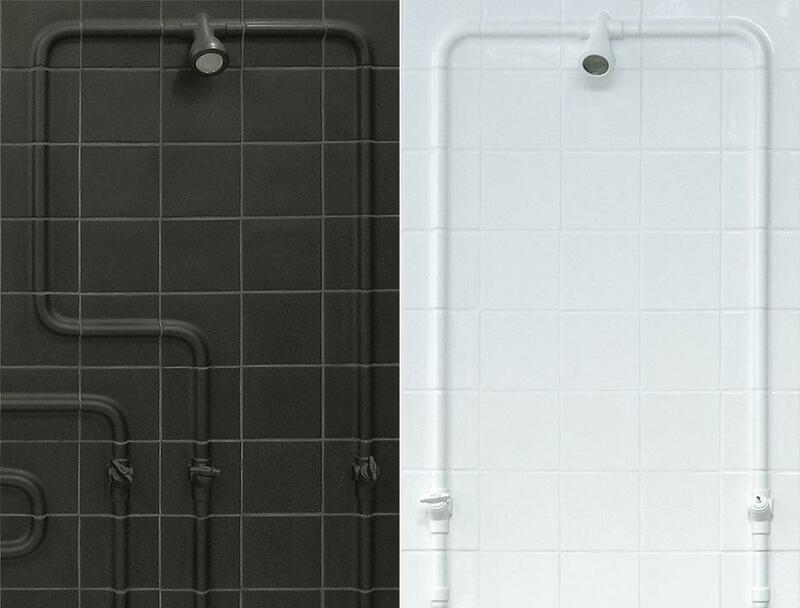 "They show the way waterlines run under the tiles and how the raw technical system of water lines, taps, showerhead and connections work and look like." 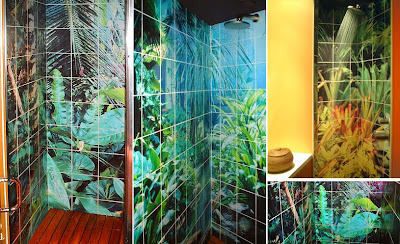 Digitile: With Digitile there is no design limitations; you can also upload your own photos and designs! 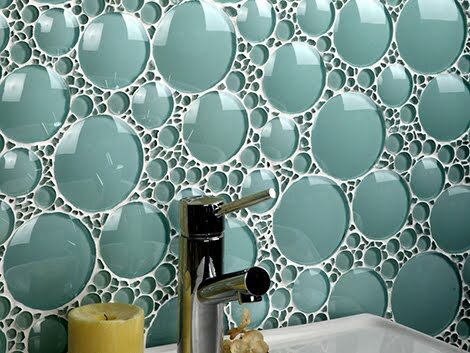 Glass Tile Backsplash: Glass tile backsplash collections from Evit is quite impressive. 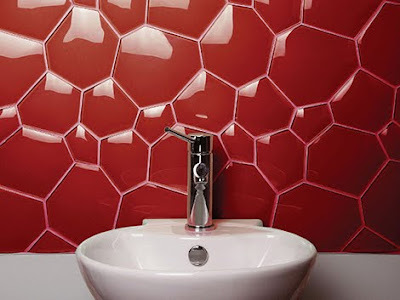 "These modern bathroom mosaics mimic a geometric honeycomb, razor-sharp shards of glass, softly circular drops or gleaming metallics." 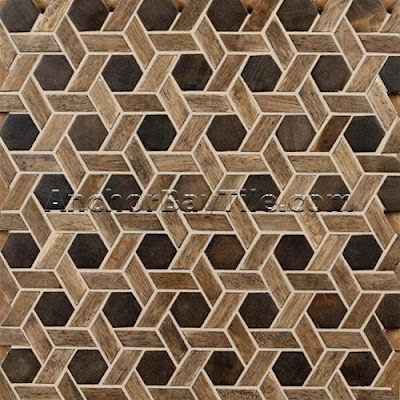 These are available in a choice of 69 colors in 300-by-300-mm tile or 300-by-100-mm tiles. Ceramic Tile With Hook: "White Rhinoceros" - ceramic tile hook is the creation of designer Vadim Kibardin. 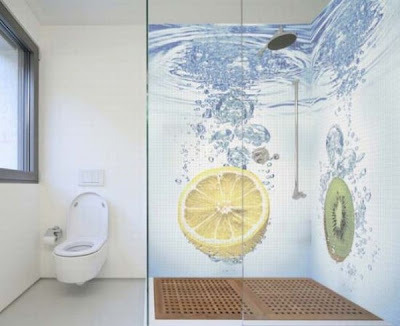 An interesting option you need to consider if you are about to re-tile your bathroom or kitchen. Design Your Own Tiles: If you are looking for options to totally personalize the kitchen or shower room, this could be it. 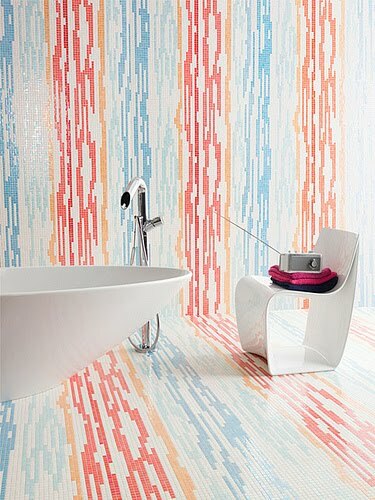 The company offers the ability to have your own personal digital art converted into ceramic tiles. 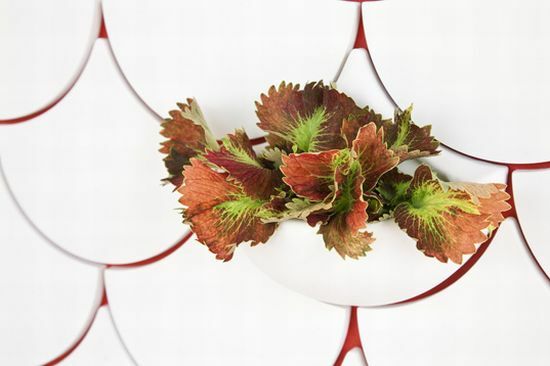 Planter Wall Tiles: Green Pockets an innovative idea by designer Maruja Fuentes to grow your indoor plants. 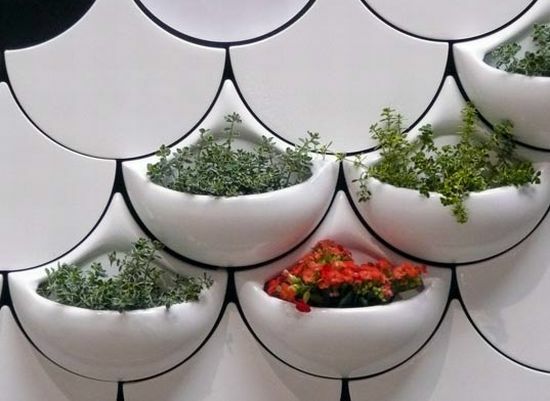 Sure to add greenery to the interior space and definitely improving the looks. 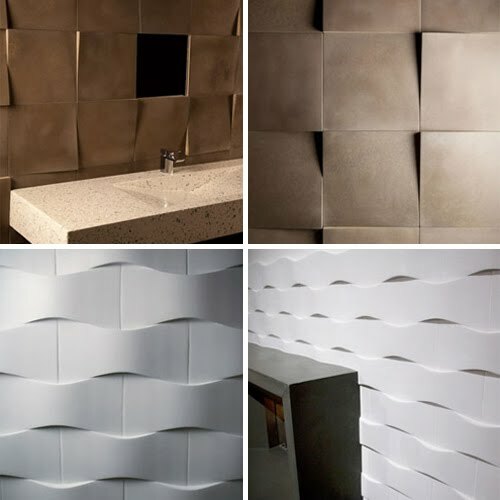 Concrete Tiles: These are beautiful and sculptural lightweight concrete tiles. Trend Mosaic Tiles: These come from Trend, a company that makes stone and glass mosaic tiles. 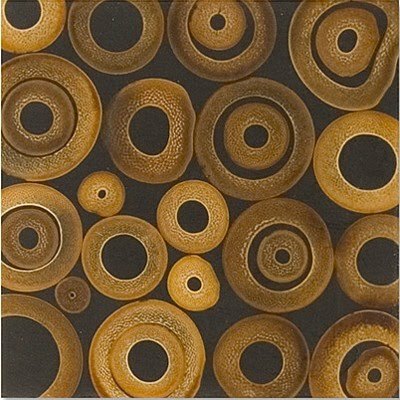 Resin Tiles: These tiles are really impressive, made from natural material encased in a resin mix. You can get beautiful polished stones, leaves, bamboo, or almost any material or object inside resin, creating a truly awesome product. Wood And Bamboo Tiles: These come from Anchor Bay. 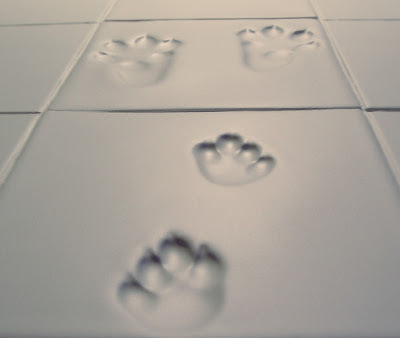 Animal Footprints Tiles: This ceramic tiles are really interesting. "Imagine the designers in their studio making ceramic tiles when their dog walks in and steps on their freshly made work!" Paper Cars, Planes & Boats.